Jurassic Fruit, Fresh Sweet Salad! 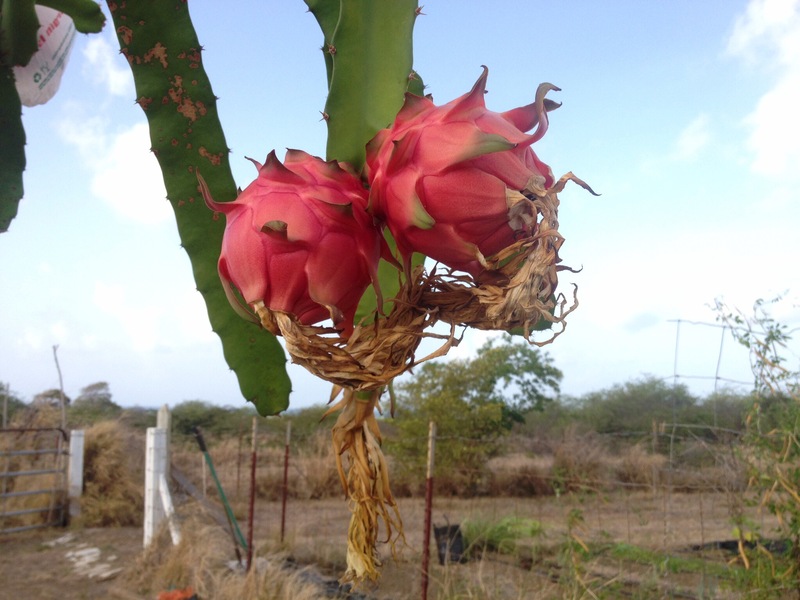 The strange and wonderful pitaya, or dragonfruit, grows at the end of a primitive, spiny climbing vine. 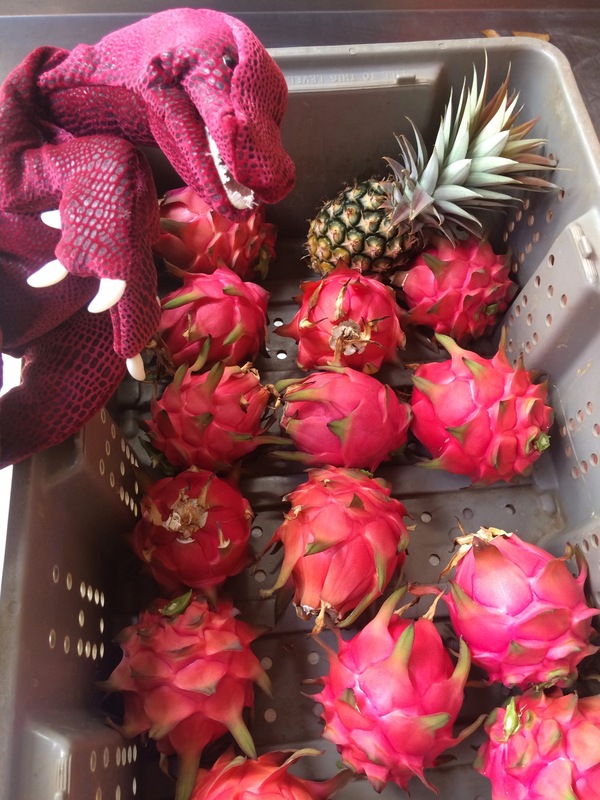 Early summer is typically the season for the dragonfruits to flower and ripen. Pitaya, also known as dragonfruit, has one of the most strange and dramatic presentations of all the crops we can think of. Today’s haul: Loads of tender sweet salad mix, Ethiopian kale, bunched arugula, mint, lemongrass, Italian basil, rosemary, zinnia flowers, a few pineapples, a few passionfruit, and red fleshed dragonfruit! From our partners we have raw local honey from Errol and vegan ice cream from I-Sha. That’s 10 AM to 12 noon today, folks! ARTfarm is currently open just once a week during this drought.